Since I am so slow I made it to Perspective in Stockholm the summer week they are packing to move to Gotland. Love my summer walks through the city to check out the new or the old. 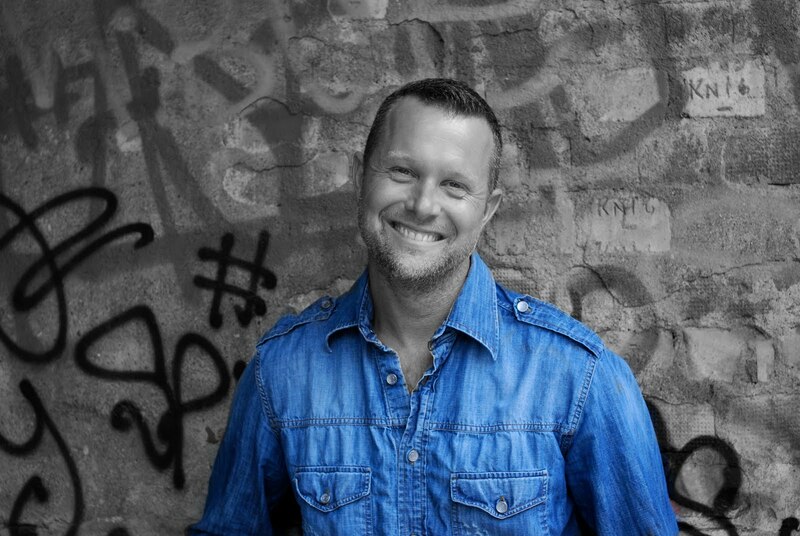 Perspective are opening a new studio in Gotland and will also be appearing in a new location in Sthlm later this year. Follow them of FB for more info. 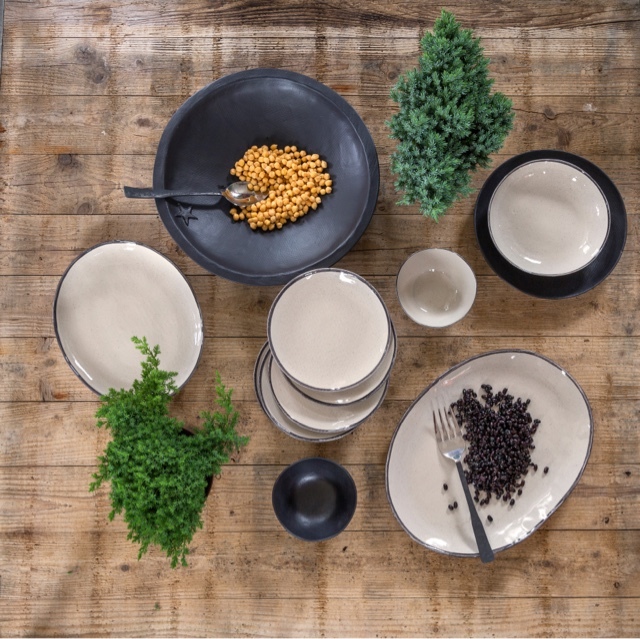 The owners Robin&Ejub run the studio shop and work as interior designers. Ejub is showing us around in his&Robin´s carefully curated and unique space. 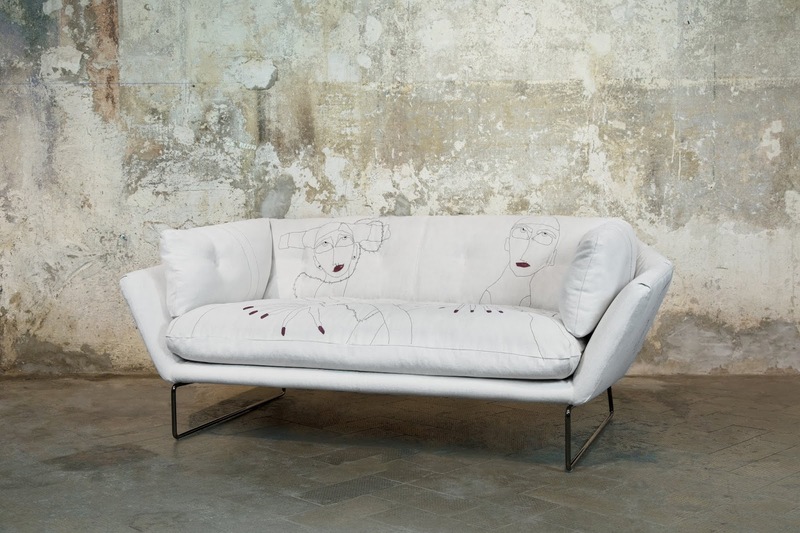 I fall for the sofa which is their own design and can be ordered in bespoke sizes and material. The textiles on the beautiful coffee table ended up there because we were trying the sofa and rearranging it. 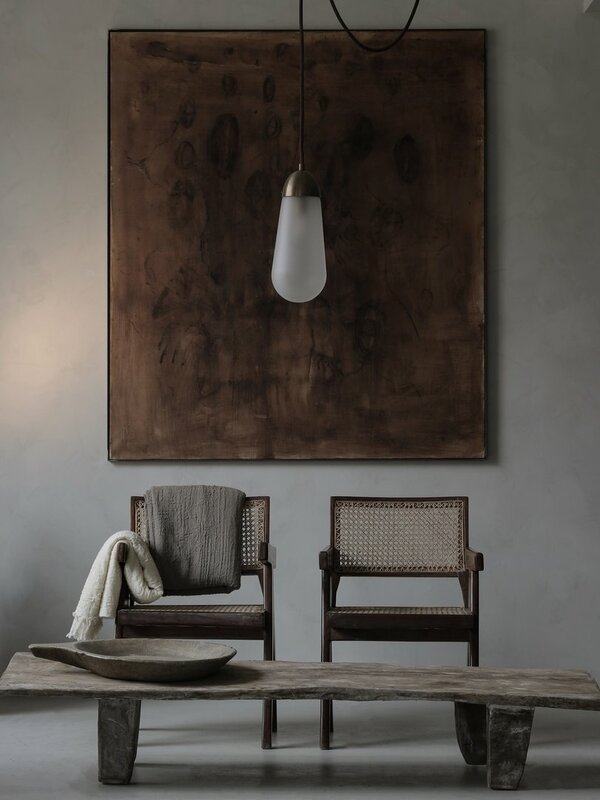 So many amazingly gorgeous objects & furniture pieces and a wonderful mix of new&antique. Eclecticism at it´s absolute best. Thank you Ejub for your warm welcome. The fantastic ceiling lamp from Aparatus that I first saw in the BDDW store in Milan 2016 you find at Perspective studios. These guys got it! The perfect mix of antique&new design. Continuing my walk to the Asplund library on Sveavägen built 1928. This landmark of a building is great place to sit and work or study. Just love this enormous pendant lamp that crowns this functionalist power stucture. The entrance art of Gunnar Asplunds library. Time to just enjoy the summer shade in one of the parks on our way back to Söder. 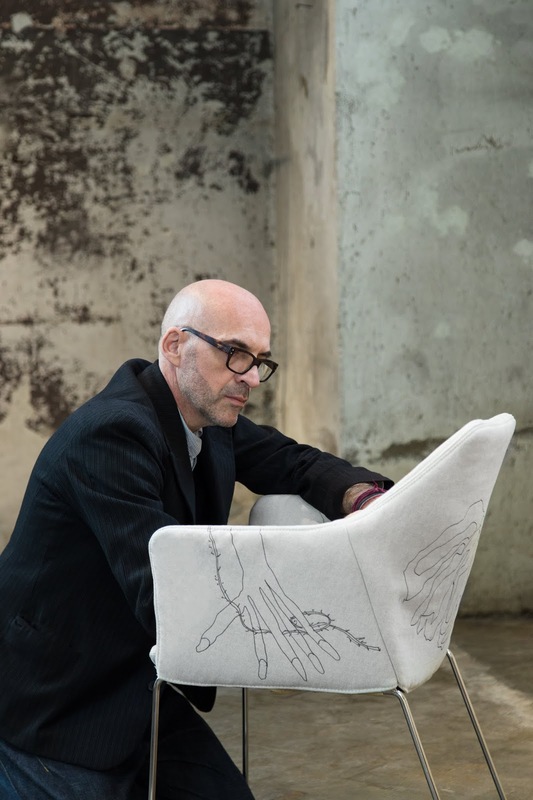 Sardinian turned Milanese fashiondesigner and artist Antonio Marras and the the Italian furniture brand Saba focused on their similarities and created stunning graphic textile art furniture. I would love to have this chair at home and at this point in my life it´s not often I yearn for furniture. The clean line design adorned with the graphic art with up to date attitude is a desirable combo. 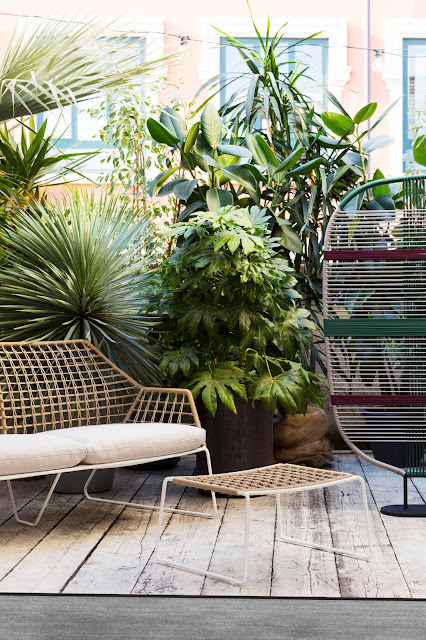 The Saba outdoor New Yorker collection. Walking in to the wooden building created for sculptor Carl Eldh as his studio, all I see at first is the window that breaks through the ceiling and the light that indirect falls on all of the sculptures in the room through the mullion windows in the studio drawn by Ragnar Östberg 1919. I love this place and first time I posted an article about this my favorite museum that, I see more as a way of true time travel deluxe, was 2014 after it had been closed for renovations for some time. There are more photos from the facade at this post and overall a lot of more shots. Sculptures of all sizes and shapes fills the studio and demand your attention. Some sculptures with a religious aim and some more human. All types of humans seems to have been Mr Eldh´s specialty. After studies in Paris with Auguste Rodin, Carl Eldh became a popular sculptor in Sweden the first half of the 20th century. At the City Hall sculpture park he is well represented with 3 sculptures among them one of August Strindberg. Architect Ragnar Östberg who designed City Hall in Stockholm as well as Carl Eldh´s studio invited him to his huge City Hall project. City Hall was completed at 1923 after 12 years of construction. The garden is worth a visit as well as the interior. The house facade wood is tarred and the scent is gives on a warm day like this makes you think you are at a dockyard. The round chapel looking part of the building with a little statue on top is a kind of living room where Carl Eldh has hung the walls with his friend´s art. I did not take any pictures of the interior of that room. You can see it when you get to the museum. Which I recommend that you do visit. Not only a north facing window but one that placed on a hill is overlooking the bay of Brunnsviken with an amazing view. If you like me enjoy both art and architecture then Carl Eldh´s Ateljemuseum is the place to visit in Stockholm. You find all of the info when you click on the museum link. Enjoy. 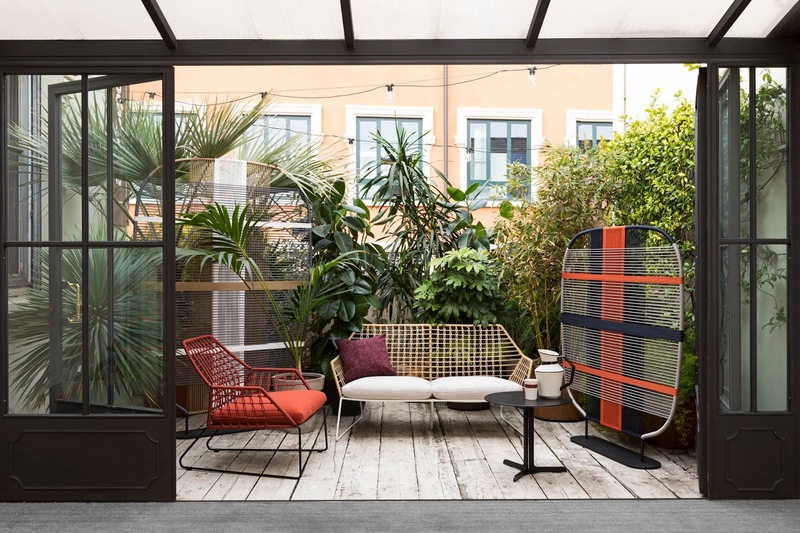 When in Milano for the design week Rossana Orlandi at via Matteo Bandello 14 is a must. At the entrance of the delightfully dilapitated backyard, former tie factory, the gigantic letters RO greets you. 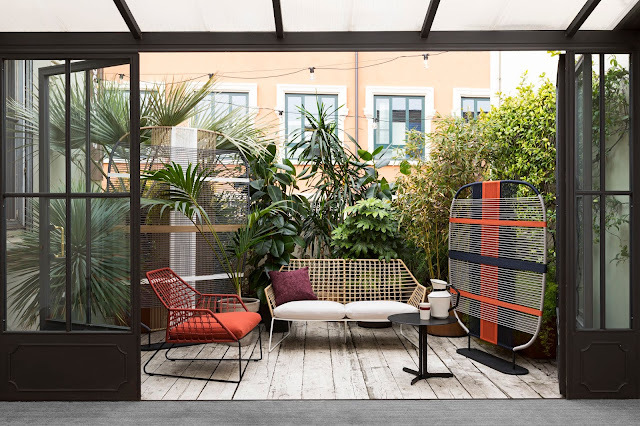 Since ro means peaceful in swedish but here naturally stands for Rossana Orlandi which both is a Iris Apfel look alike (or the other way around) and the female force behind this revered avant-garde design & lifestyle gallery, café and now garden its a lot to take in. The space is articulated in a not traditional way mixing togher, showroom, a retail store, offices and at a courtyard for events along with the latest feature filling the garden with design and art. The garden was previously just something you saw through the well kept industrial windows. Chicken wire sculptures by Benedetta Mori Ubaldini in the garden at RO. Another must during the Milano Design week and luckily at RO is to have time to see, smell and enjoy the abundance of wisteria/blåregn that is in full bloom at this time. 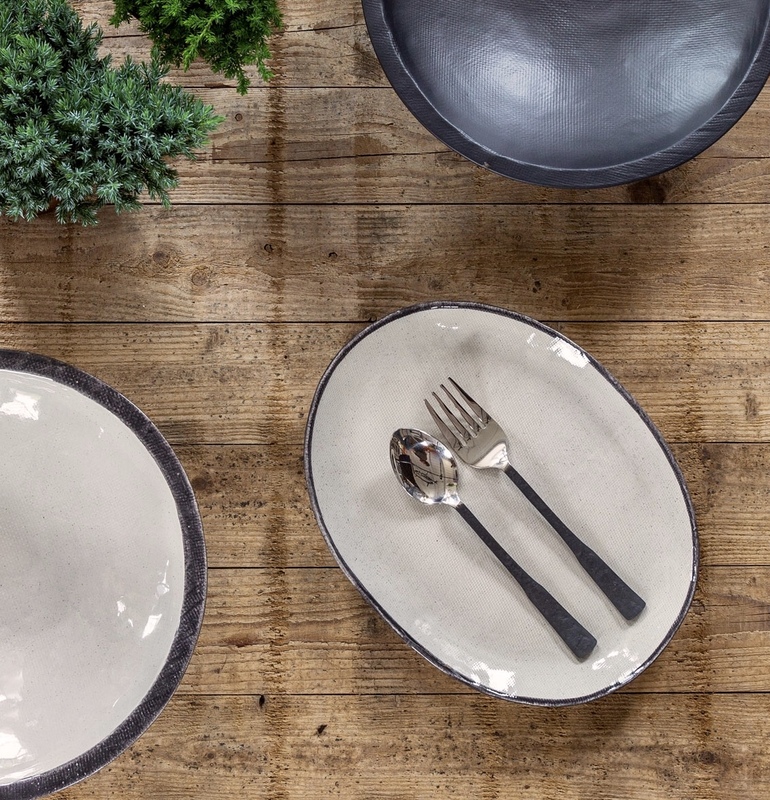 Rossana Orlandi is nowadays a family business and employ a big staff during the high season. When it started her activity focused on the rising dutch design wave with designers such as Piet Hein Eek, Marten Baas and Nacho Carbonell and has since moved widely around the world. Some designers are now a constant part of the exhibit and store and in the basement a influx of new talent is showcased every season. Jeroen van Kesteren flying phenomena of art in the series called Orphanage for Lost Adventures made me stop and stare for a very long time. Constant part of Rossana Orlandi situated at the top of the building right next to the shop is Piet Hein Eek. You have probably seen the scrap wood meticulously lacquered tables but you might not have seen his art&decoration. When at Rossana Orlandi take a walk around the neighborhood that has so much architectural beauty to offer.